The newest and best aluminium Bi-fold on the market! Strong and secure, WarmCore doors come with class-leading security built in, backed by a comprehensive 10-year product guarantee, reinforced by the ERA Five Star security guarantee. Inwards or outwards opening doors up to 6m wide, with as many as 7 opening sashes glide along custom designed tracks. While a wealth of colour, style and configuration options help you choose the perfect warm, secure and beautiful WarmCore door for your home. The beautiful, strong and secure door that is 25% more thermally efficient than the competition! Two panes Bi-fold in a choice of colours and options at no extra cost as standard. The two-pane version is also available as a French door option. At the heart of WarmCore products is a thermal core which significantly outperforms the polyamide thermal breaks commonly used to reduce the threat of cold bridging on aluminium windows and doors. U-Value of 1.4 with 28mm double glazing. U-Value of 1.0 with 44mm triple glazing. High strength construction - Secure by design. Double strength sash corners are mechanically joined and use a combination of internal aluminium cleats and a wrap-around corner moulding block to ensure rigidity and robustness in use. Custom-engineered extruded aluminium hinges are designed with security in mind: Hinges clip fit for ease onsite installation. Run-through gasket grooves allow for continuous weather-seals. Designed to take triple glazed units as standard. Robustly designed to take the weight of triple glazed panes as standard. 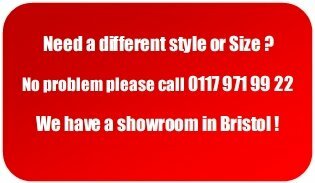 Choose this option on your Bi-folds for the best thermal performing doors currently available on the market. High performance, easy clean glass Celsius Clear insulated glass is available as an optional upgrade on WarmCore folding sliding doors. 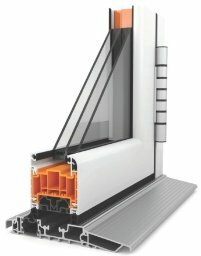 This unique high-performance glass utilises a Low-E and solar control coating, with an Argon filled cavity, to limit the amount of UV and heat that passes through the glazed unit, giving the ultimate in thermal control, whatever the weather. From the finish to the hardware, WarmCore bi-folds come with a 10 Year Guarantee. Suitable for coastal use - the 60-80 marine grade micron powder coat finish on the aluminium bi-folds have been designed to stand the test of time. Tough hinges are extruded along with quad rollers and precision engineering to give a high performing consistently even bi-fold All the fixings are stainless steel and are resistant to corrosion. You can feel confident in your decision to add a WarmCore bi-fold to your home! Customise Your 6-Pane Aluminium WarmCore Bi-Fold Door! Description: Bi-Fold Doors Made-to-measure Six pane Warmcore aluminium Bi-fold doors / french door. Profile: 7 opening sashes inside the A-rated aluminium profile. Dimensions: Six panes Bi-fold. Min Height 2020mm Max Height 2400mm, Min ..